For 20 years, Neville Grant, a Manilla bus driver, has been painting images on trees to amuse children passing by. On a white box tree (Eucalyptus albens) Neville has found a face in the burls on its trunk. 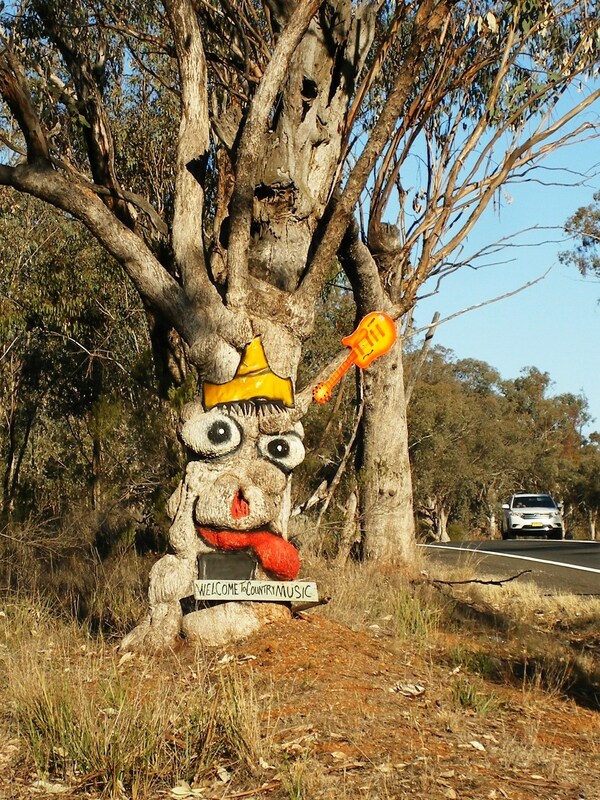 This tree, near the “Lions’ Park” on the Tamworth road, now has some features added about the Country Music Festival in January.